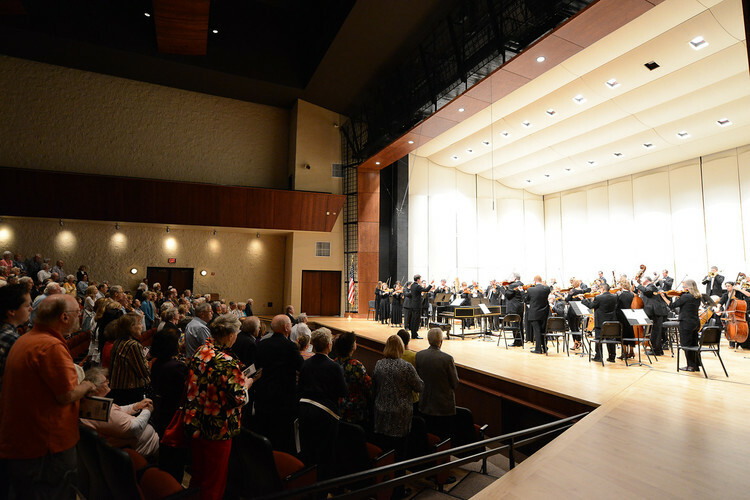 Serbian music conductor Vladimir Kulenović was recently appointed to the position of Music Director of the Lake Forest Symphony Orchestra, which is in existence over fifty years. He was chosen over 150 candidates from all over the world. Under the guidance of maestro Vladimir Kulenović, this year's music season opened with the gala concerts held on September 6th and 7th, with the performance of works by Haydn, Beethoven, Glazunov, and the "Fantasia on Serbian Themes" by Korsakov. Special performing guest at the concert was violinist Stefan Milenkovic. Acting Consul General met with maestro Kulenović and congratulated him on his election wishing him a successful musical season. Both concerts were held to a packed concert-hall of primarily American audience whose standing ovations greeted the performers, the new Music Director as well as the special guest. For more information about the concert and the maestro Kulenović click here.